Remember when the most important thing about smartphone batteries was how long they lasted for? At the time, no one cared about how fast the battery would charge up. In the last three to four years, this has changed as manufacturers started to realize that charging times were half of the equation. While Motorola has its Turbo Charging, Qualcomm has its QuickCharge technology integrated into its Snapdragon chipsets, and OnePlus has Dash Charge. To show off how fast Dash Charge "does its thang," OnePlus posted a couple of videos today showing the barely out of the womb OnePlus 5 against the Samsung Galaxy S8. First, we need to get some numbers out of the way. The OnePlus 5 sports a 3300mAh battery vs. the 3000mAh cell in the Galaxy S8. After 15-minutes of charging, the OnePlus 5 had 29% of its battery charged compared to 20% for the Galaxy S8. After a bit over a half hour of charging, the OnePlus 5 had opened up a large 58% to 39% gap over Sammy's current flagship model. The second video had both the OnePlus 5 and the Samsung Galaxy S8 connected to a car charger and after the car was being driven around for half an hour, the OnePlus 5 had 43% battery life ready to go versus just 12% for the Galaxy S8. The difference between most chargers and Dash Charge is that the latter increases the amps, not the voltage. This allows for a faster charging experience with less heat generated. Check out both clips in the video slideshow below. How fast is Dash Charge? if this is one of their prominent selling points, they need to make a more spectacular phone. 100%. I don't care whether my phone charges in 90 minutes or 2 hours. I care that it can last all day with moderate to heavy usage. My plan is to be asleep while it's charging anyway, so that's just not an important feature to me. Besides, you have to wonder how adverse of an effect all this very rapid charging has on our overall battery longevity. I consider that to be a decent concern now that most major manufacturers no longer do removable batteries. It takes almost same time to charge op3t and s7 edge from 0% to 100%. I thought with op5, dash charge will improve. But it is the same dash charger. Instead of implementing dual camera setup, op5 should have improved upon its dash charging. It is the main selling point. Pay $100 more and get the best android device. Continous price cuts only make Samsung S8 and s8 + an even more amazing phone, where oneplus stays at the same price the entire year. It makes more sense, you get so many deals on S8 plus $100 AKG premium headphones, whereas no headphones in oneplus. 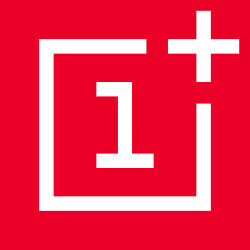 No sd card no OIS NO water resistance no samsung pay (mst) No iris scanner no edge to edge screen No 2k display No great camera(as per reviews) Last year it was easy to justify oneplus 3t, but now its very difficult. Only benefit is XDA community. Iant gonna make me qanna buy it. Being better at something osnt enough. I donr care how fast. But it dows show one oem which still takea 3:30, needs to wake up. that's what your mom said when she compared you to your twin. So how do you feel that you have to fully charge your phone more than 2 hours while you forgot to charge after you wake up? Or thirsty for wall socket at the outside? The spelling mistakes is strong with this one. Dash Charge is one of the many reasons i bought OP3. way faster than Samsung's charging all the time. Both charges way faster than my 7 Plus. But that's not a problem for me so far. I don't have time to watch two phones charging. My questions is what if One+ uses a low amp charger for the S8?? samsung's adaptive fast charging doesn't work unless the phone is not in use .. while this is not the case with dash charging (which is an advantage over samsung's fast charging) the ad is misleading as it may indicate that there is no fast charging in the S8 because they didn't show the other side of the story .. why not compare them while they are not in use oneplus whatever ? !